Are you an Umbarger Champion? Submit Your Results Today! Barn 36B! Come visit with us! 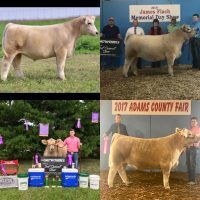 A preview of sale calves that will be offered this Fall in our stalls. 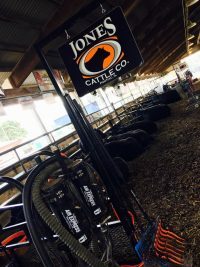 Watch for us in the livestock center tomorrow at 8am! We have the New & Improved Natural Fill AVAILABLE at the Illinois State Fair this week!!! Give us a call or send a message! Would love to hook you up with this awesome product! Super helpful for that stubborn animal that won't eat at the fair! Great for cattle, goats, & sheep. 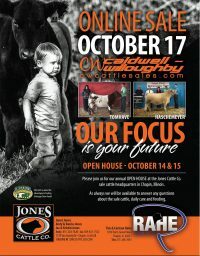 Jones Cattle Co Online Sale - October 17 Online with CW Cattle Sales PLEASE join us for our open house OCTOBER 14 & 15.